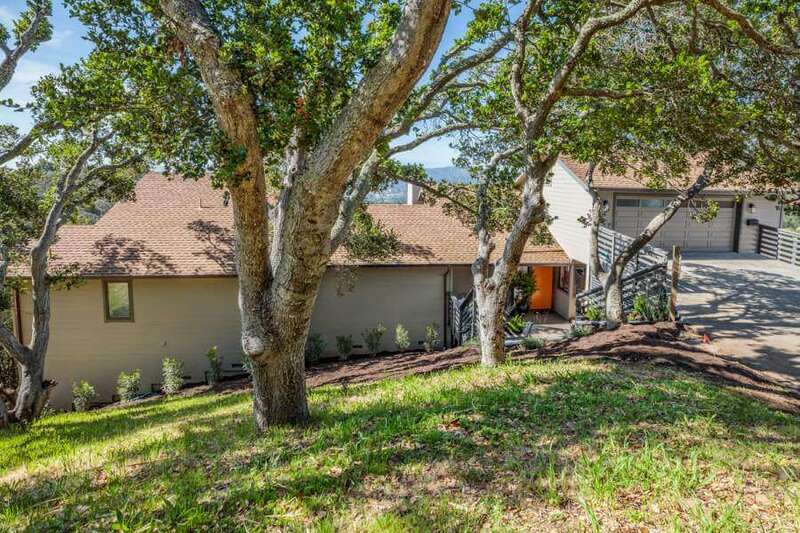 10 Pleasant Avenue is a hidden gem in west Corte Madera, conveniently located for an easy commute to SF, the East Bay, all of Marin County, and the wine country! This home, commands a unique hilltop site that is private, quiet, and dramatic. 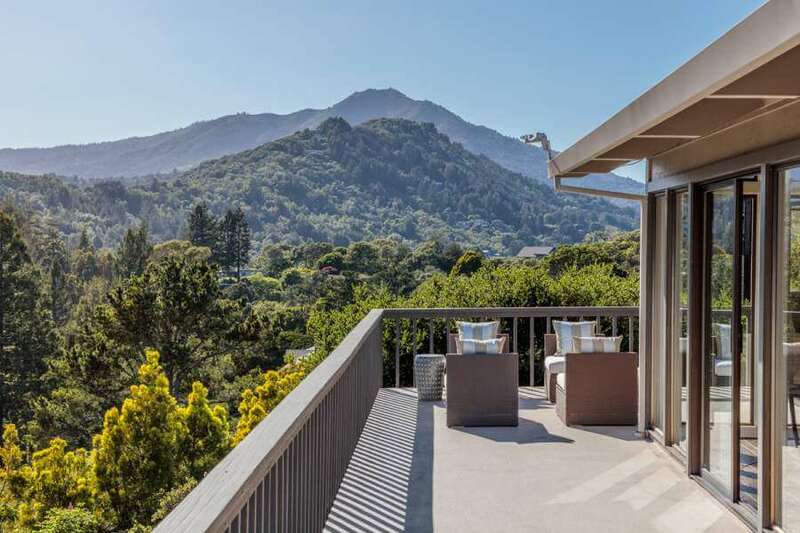 Panoramic views include the Mill Valley hills, the Alto Bowl Open Space, Christmas Tree Hill, and Mount Tamalpais. 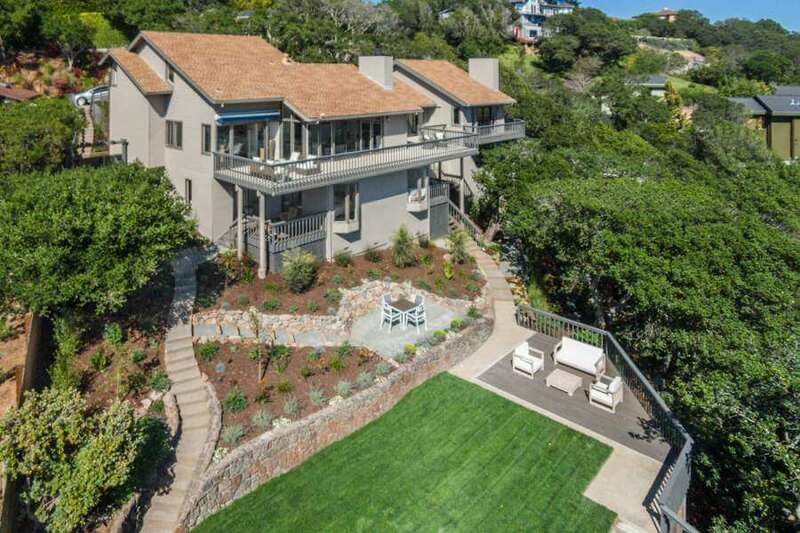 The original owner is selling this custom-built home – the first time on market. It is at the end of a cul-de-sac and surrounded by open space, affording quiet and privacy. House was designed by a local architect and built in 1972 by Bruno Venne, a contractor who was also the original owner of 8 Pleasant Ave. In 1986, Venne did an addition for the owners which consisted of the new master bedroom suite above an office and large room with fireplace for a family room or bedroom. This home provides a flexible floor plan, with almost 4,000 square feet of living space, approximately 850 square feet of decks, and 555 square feet of secure storage space. There are 5 bedrooms or 4 bedrooms and a large family room (17×20 feet) , plus two large rooms that may be additional bedrooms, offices, etc. New fences, railings, and more. A detailed list is available in the property disclosures. 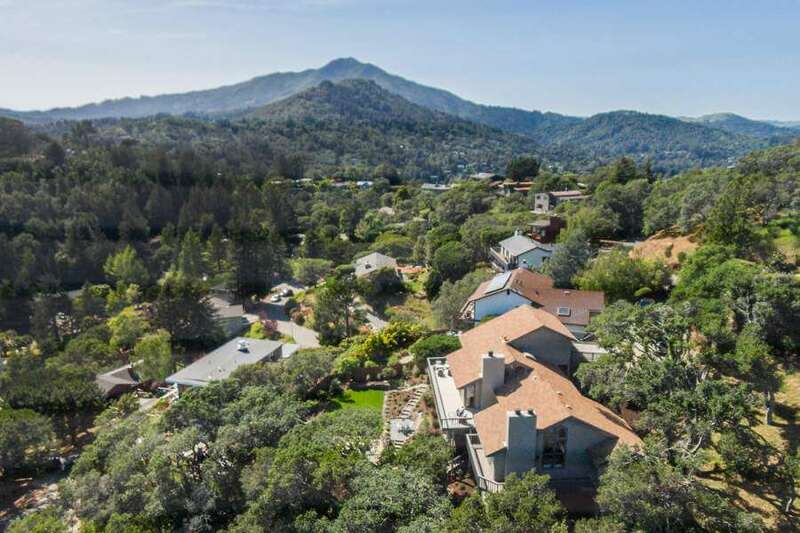 Please contact info@livinginmarin.com to request this information. Stunning, renovated grounds on a 13,000+ square foot lot amaze all: huge level lawn, meandering paths, beautiful flowering plants, gorgeous oak trees, large entertaining decks and patios. Property is completely fenced and surrounded on three sides by a large city-owned parcel for additional privacy. The entry level has a beautiful, large entry hall, a living room with fireplace and vaulted ceiling, and family room / dining area off the kitchen. Upgraded kitchen with new stainless-steel stove, refrigerator, quartz counter tops, large walk in pantry. Oversized master bedroom suite with fireplace, bathroom with dressing area, walk-in closet, and a vaulted ceiling. An adjacent room with closet could be another bedroom, study, exercise, etc. All rooms on this level open to wrap around, south-facing decks, and panoramic views of hills and open space. A large two car garage at the street has interior access to the main level. From the entry hall, a bright and open staircase leads to the lower level with a wide hallway, three bedrooms, one and half hall bathrooms, a large family room or an additional bedroom with fireplace and wrap-around deck. An adjacent room could be another bedroom, study, exercise, etc. Lower level bedrooms have access to the gardens and lawn through four doors. All rooms on this level have panoramic views of hills and open space. A large mud room with a separate door to the yard and street also contains the laundry and mechanical room with two furnaces, new hot water heater, and central vacuum. Three bedrooms with new carpeting; all south facing. 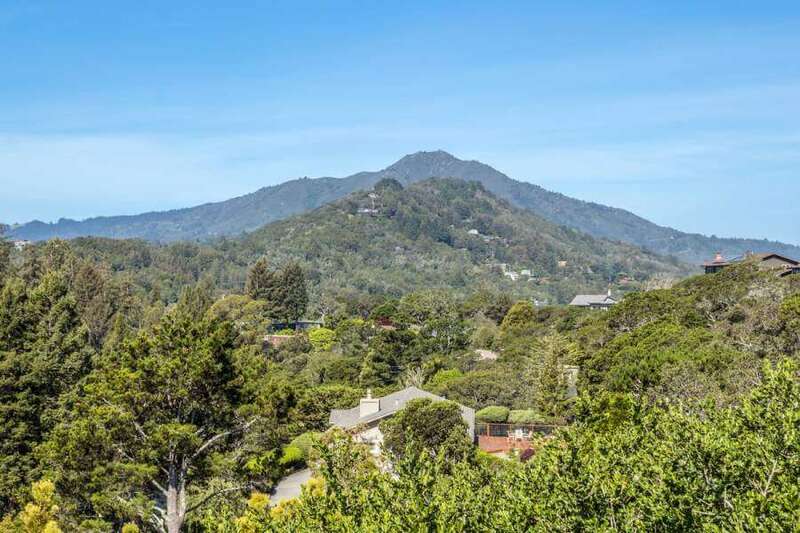 A short trip up the hill from the intersection of Tamalpais Ave and Highway 101 takes you to the unique and private neighborhood of Hidden Valley. The neighborhood is comprised of four or five streets and a few dozen homes. 10 Pleasant Ave has a unique location at the end of a wide street on a third acre lot. 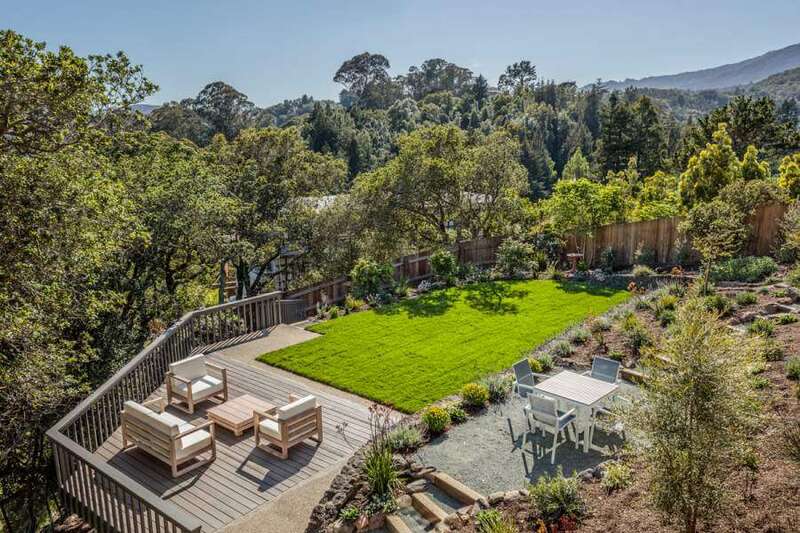 Surrounding the lot for this house is a larger lot, perhaps twice the size, that is undeveloped and belongs to the town of Corte Madera. This lot was originally intended as a park but never used. This quiet location provides the opportunity for many after-dinner walks and daytime hikes along the wide streets. 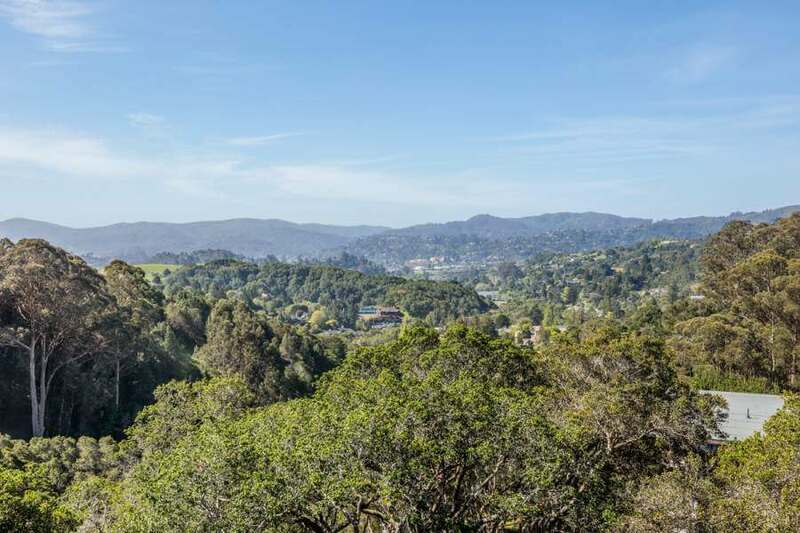 At the end of Fairview Ave is the trail head for the Quarry Meadow Trail that goes north into Corte Madera or south toward Alto Bowl Open Space in Mill Valley. The excellent Larkspur Corte Madera Schools: Neil Cummins Elementary, Hall Middle School, and Redwood High School. "Years of experience, networked connections and a no nonsense approach! They know the Marin Market."